General dentistry is the kind of dental care you need to keep your teeth and gums clean, healthy, and strong. 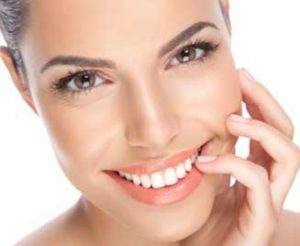 Cosmetic Dentistry refers to a variety of dental treatments and procedures that are customized to improve the appearance of teeth and gums. At Redwood City Family Dentistry, our Cosmetic Dentistry Services are more than simply cosmetic. We believe that everything we do should have a positive impact on the health of your smile, as well. We offer the best dental services in Redwood City. The cosmetic dentistry treatments we offer are completely state-of-the-art. Our cosmetic dentists use superior dental materials to ensure the work we do lasts many years. If you are considering changing your smile with one of our aesthetic options, keep in mind that cosmetic dentistry can actually help you improve your bite and strengthen teeth while giving you the confident smile you have always dreamed of. We are proud to provide our patients with the most advanced technology and the highest safety standards for all cosmetic dentistry treatments. Please contact the team at Redwood City Family Dentistry for your comprehensive dental care. Dental Services Redwood City. At Robert Savage Dental Care, our Cosmetic Dentistry Services are more than simply cosmetic.